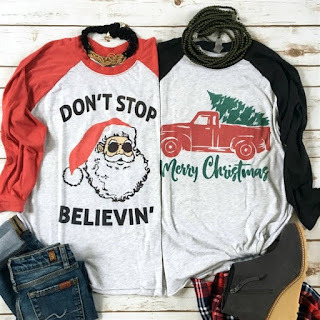 I am loving these tees! Head over to choose from these Vintage Holiday Raglans for ONLY $15.99 (Retail $30)! Our super comfy raglans come with your choice of 2 vintage designs for the upcoming holiday season. We use direct to fabric printing for a soft finish that won't crack or peel!